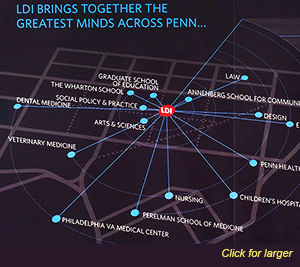 LDI is Penn's hub of health system-related research, policy analysis, and education. 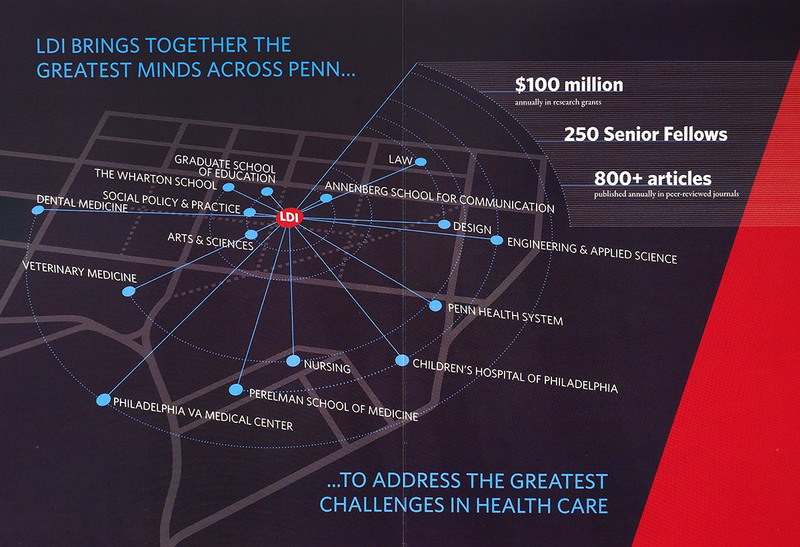 Its more than 300 Senior Fellows analyze the medical, economic, and social issues that influence how health care is organized, financed, and delivered across the U.S.
LDI is headquartered in the Colonial Penn Center Building at the center of the Penn campus. LDI and its Senior Fellows are among the pioneers in interdisciplinary health services research and have helped guide health policies at all levels of government and the private sector. More than 300 LDI Senior Fellows work to improve the health of the public through studies on the medical, economic, and social issues that influence how health care is organized, financed, managed, and delivered.